Software development projects can be managed under a great variety of methodologies and frameworks. Use of traditional frameworks can lead to extended planning stages that take a significant amount of time. Agile methodologies are designed to accelerate the creation of value through an incremental evolutionary process, where activities that create more costumer value are prioritized. Use of agile methodologies can relegate important factors in project management, if they are not included in the planning phase, since these methodologies do not propose dimensions that traditional methodologies do. 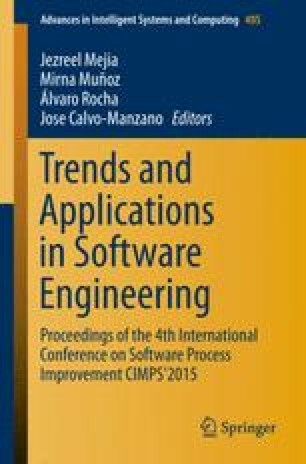 We pretend to identify whether it is possible to combine agile methodologies and traditional models to define a catalog of best practices for software development project planning. We propose to reduce the complexity of implementing an integrated agile/traditional model, through a methodological catalog for project planning. We present a high level solution design, including initial concepts of the model for a future catalog development.